When the prospects are not that good you need a light in the dark. Northern Lights Autoflowering is the perfect remedy to brighten your day and to take the pain away. 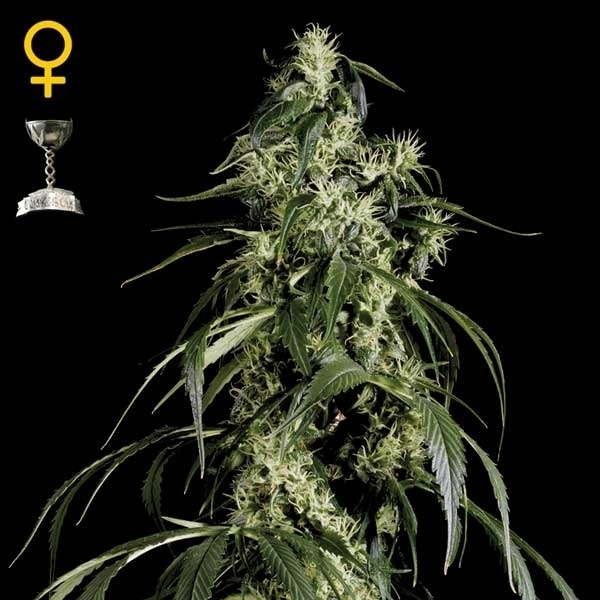 Be it indoors or outdoors, she will switch to flowering after only roughly two weeks of vegetative growth and finish at a height of around 90-120cm. This cunning illuminant is able to deliver up to 800g/m²! Sweet Mango Autoflowering is a highly productive crossing of Mango and Big Bang Autoflowering. With yields of up to 700g/m² in a grow-room, this variety is a great choice for commercial growers. Sweet Mango Autoflowering does not care if she is brought up indoors or outdoors; in both cases she will require only 9 weeks from germination to a bountiful harvest. Auto-Bomb Autoflowering has been bred by blending two autoflowering varieties and has a very good resistance to lower temperatures. This tenacious plant will flower as long as the temperature does not drop below 10°C. Auto-Bomb Autoflowering requires only 7 weeks of flowering to reach full maturity - irrespective to the cultivation method. The name of this variety is not a hollow promise, Super Bud is a true monster when it comes to yields. In an indoor plantation it is possible to harvest 900g/m² and outdoors you will be dumbfounded when you see a plant carrying up to 1kg of smokable flowers! 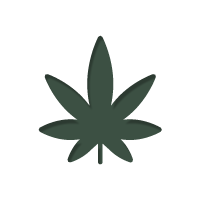 Smoking Super Bud weed is very calming, almost narcotic, making her a great choice for patients with insomnia. Kalashnikova is the offspring sired from the marriage of two legendary varieties - AK-47 and White Widow. Merging those famed genetics resulted in a plant with enormous yields and a dazzling resin production. Kalashnikova responds nicely to pruning and branches very well, making her a perfect strain for cultivation in SOG and ScrOG setups. Can produce 1kg per plant. What do you get when you mix Big Bud with Skunk and White Widow? Super Critical, a variety bigger than the sum of its ancestors. This hybrid is incredibly productive and boasts with a strong body-related inebriation. Yields of roughly 800g/m² in a grow-room are already exceptional, but what do you think about plants yielding 1.2kgs?! Perfect weed for killing pain. I have no idea why this variety was named Ladyburn 1974 - I can only assume the eponym is a fan of malt Scotch whisky, but the Ladyburn distillery was closed in 1975 or 76! Anyways, the reason could be in the high this variety induces. After smoking some of the weed you'll first feel flat out stoned, but the initial effect slowly evolves into a very pleasant high. 21% THC! "Diamonds are a girl's best friend ..." Well, Greenhouse Seeds harnessed a handful of gems to create Diamond Girl - they welded Skunk, Northern Lights, Haze and Early Pearl together. This Indica girl drapes in huge buds within only 8 weeks and she is really greedy - under perfect conditions she won't stop until she is festooned with 750g/m². Close to 15% THC. Every Cheese lover will cheer out loud for Exodus Cheese is indeed the extremely popular Cheese strain from out of the UK and it is finally available in seed form. While not being the most easy plant to rear, she is a very rewarding variety with a great potency. During the flowering period she definitely needs support or the branches will bend under the weight of the buds. As the name already suggests, Pure Kush is precisely that - a pure Kush variety. Greenhouse Seeds selected an exemplary OG Kush phenotype with reddish/pinkish hues on the calyxes and stigmas. 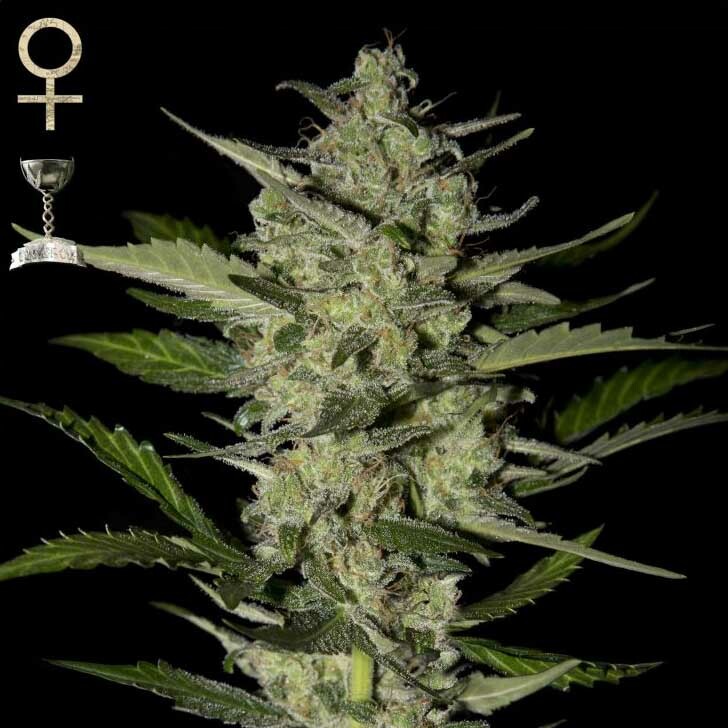 But Pure Kush is not only a feast for the eye, she is extremely productive and has the potential to yield 900g/m², respectively 900 grams per plant outdoors. 19% THC. Damn Sour is based on the famed Sage and Sour Diesel and boasts with an intensely sour aroma and flavor, beefed up with hints of berries. S.A.G.E. is an acronym for Sativa Afghan Genetic Equilibrium and it is known for its balance, hardiness, medicinal potential and pleasant flavor, wherein Sour Diesel is a very popular strain in the USA and has a sour, lemony taste. Green-O-Matic is an autoflowering strain with a short flowering time and high yields. If you are not blessed with the virtue of patience and out for a heavy harvest, you should give Green-O-Matic a try. After only 6 weeks of flowering in a SOG setup you can expect a yield of up to 700g/m². And the THC level of 15% is not to be despised. Fast-hitting and long-lasting effect. Let Bubba Kush take you by the hand and take you to the pain-free land of sleep. This highly productive crossbreed of Bubble Gum and Kush is able to yield in the range of 700-800g/m² in an indoor setup and is not miserly when it comes to the cannabinoids load. 18% of the harvest are THC and the high resin production pretty much calls for hash production. Arjan's Haze 3 is very likely one of the smallest Sativas you will ever see. But this does not mean she produces low yields! This cute little green lady is flexible, strong and bushy and performs great in a SOG and ScrOg setup, yielding up to 700g/m². And she delivers a highly potent product with a very sweet and fruity flavor and high CBD and CBN levels. Ready after 10 weeks. Arjan's Ultra Haze 1 is an award-winning Sativa bred by mingling Neville's Haze, Cambodian and Laos. This is the perfect choice for mental meditation, introspection, reflection and contemplation or simply put spiritual relaxation. But she calls for a patient grower, for it takes her 13-14 weeks to reach full maturity. Tall plant with long branches and high yields. 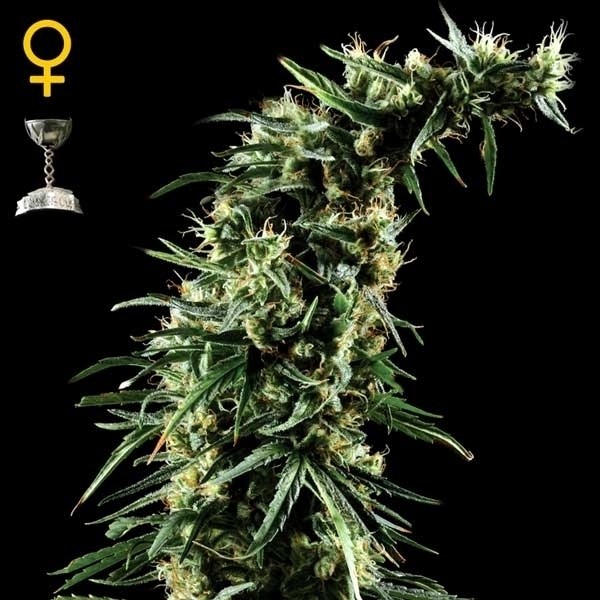 Arjan's Ultra Haze #2 is an award-winning Sativa with a pleasant taste, high potency and very good productivity. This variety is the best choice if you are out for an intense and long lasting mood-elevating, uplifting and social high and a sweet flavor. 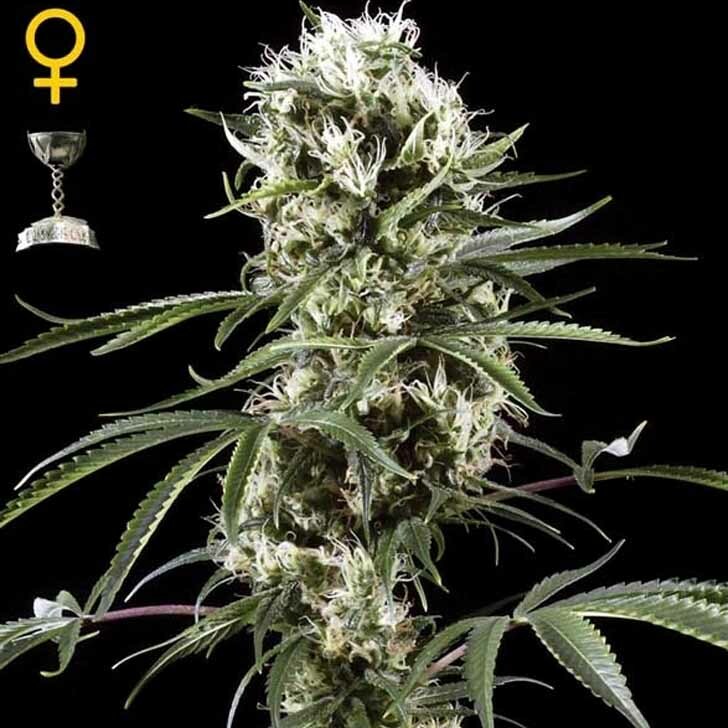 Arjan's Ultra Haze #2 requires 12-16 weeks of flowering and rewards the long wait with up to 800g/m². 17-22% THC. Arjan's Strawberry Haze is based on NL5 Haze Mist and a Indica/Sativa hybrid named "Erdbeer" (German for Strawberry) from Switzerland. This is a tall plant with long branches and a relatively short flowering period for a Sativa dominant variety. Arjan's Strawberry Haze is perfect for the ScrOG method and responds very well to LST (Low Stress Training). Yields up to 600g/m². 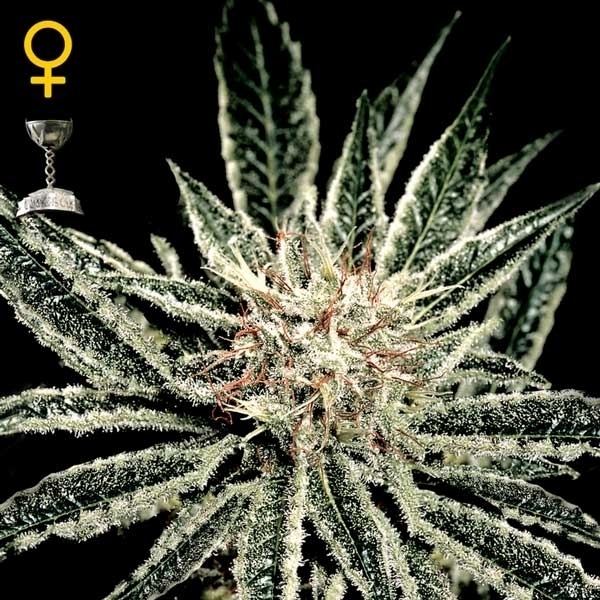 The Church is a high yielding and very potent variety based on the genetic mix of a Swiss Sativa/Indica hybrid called "Erdbeer" (German for strawberry), Super Skunk and Northern Lights. This is the perfect choice for a funny get-together with friends or to fight depression for the high is very motivating and social. Savored in higher quantity the high becomes trippy. 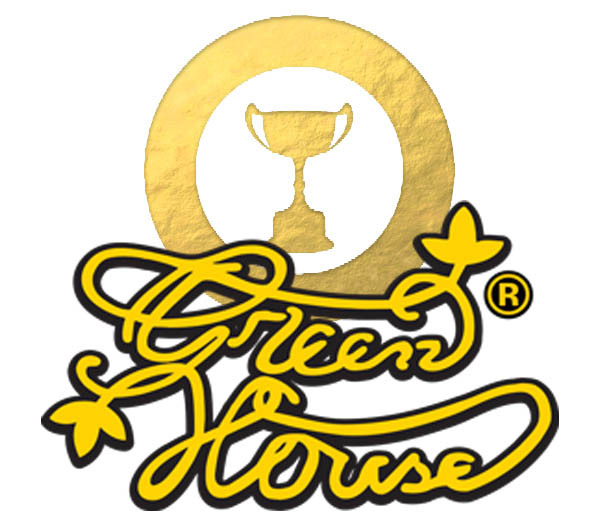 Greenhouse Seeds is seen as one of the most successful seed banks of all time, winning numerous awards, and producing multiple world renowned strains of cannabis seeds. Much of this fame is thanks to the Arjan, the owner and cofounder of Greenhouse Seeds, and co-explorer/hunter of Strain Hunters. It is through his continued work to discover, breed, and experiment with landrace strains that Green House Seeds was able to build such a reputation for itself. And he has now been at it for over 25 years. Often dubbed the King of Cannabis, Arjan has taken a personal and vested interest in ensuring that the seeds on offer at Greenhouse Seeds cover a wide range of traits and features. This means there is something for everyone at Greenhouse Seeds, no matter if you are an indica or a sativa lover, grow indoors or outdoors, or simply want an auto strain - you will be able to find seeds suited to you. “When I was just 17 years old I met an old wise man. He looked me in the eyes and gave me a cannabis seed. He told me that the cannabis plant can be so powerful to overthrow governments, and to change the planet. Ever since, my goal in life has been to legalize cannabis for medicinal and recreational use, for everybody. Taxes and regulation will create a safer world for our children, a world with less crime, better public health and a solid economy. I am humbled and proud to be helping this green revolution, because those who have history will shape the future”. Greenhouse Seeds’ packaging is both stylish and practice, ensuring that any seeds obtained from them are held and transported both safely and securely. 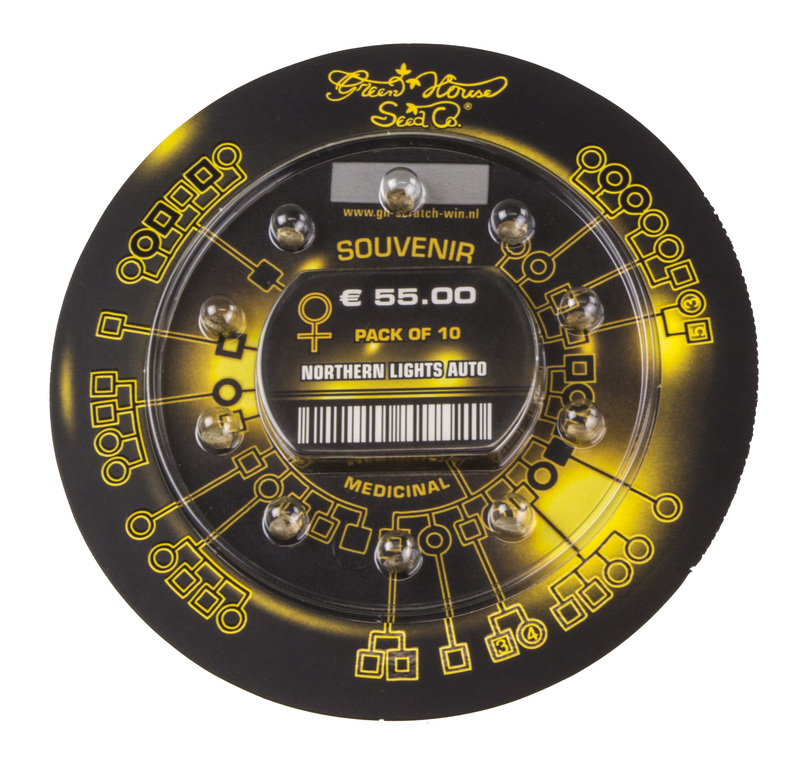 The “genetic disk” design is Greenhouse Seeds Signature, and displays all of the basic information about the cannabis seeds within. Whilst sturdy, Greenhouse Seeds’ packaging is designed to only be opened once, and is not re-sealable. If you get more seeds than you intend to use in one go, ensure you have a suitable storage solution lined up to keep your seeds safe. 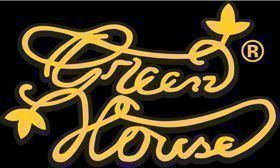 Greenhouse Seeds’ cannabis seeds come in packs of 3, 5 or 10 seeds. Mixed packs come with coloured seeds, so you will know exactly which seed is which strain. 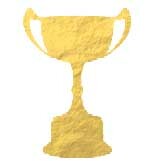 With over 100 awards to their name, Greenhouse Seeds are one of the most decorated and celebrated seed banks out there. It is helped them spread their name and become one of the largest seedbanks of today’s cannabis seed market. The combination of Green Crack and OG Kush, Flowerbomb Kush is a high yielding, potent indica dominant hybrid. It has a sweet, spicy smoke that induces a long lasting mind and body high. One of Greenhouse Seeds’ most recognisable and iconic strains, Super Lemon Haze is a multiple award winning behemoth. Its well balanced and finely tuned genetics induce a mixed mind and body high, and its smoke produces an intense lemony flavour that has become a trademark of the strain. Cheese is an old-school classic that still remains popular to this day. Its high yields, pungent aroma, and potently couch locking high makes this indica dominant beauty well deserving of its awards. Exodus Cheese is an extremely popular UK take on the famous Cheese strain. Whilst not the easiest to grow, it rewards growers ten-fold for their effort with some of the dankest, pungent bud around. A highly sought after sativa dominant hybrid, Super Silver Haze has stood the test of time, winning multiple awards over the last decade. It is the mix of Skunk, Northern Light, and Haze, packs all of the power you would expect from these three well known varieties. The buds of Hawaiian Snow are so large and heavy, the plant often needs extra support to stay standing. This should give you an idea of the kind of beast you are dealing with. Hawaiian Snow is a potent sativa powerhouse that is not to be underestimated. Arjan’s Ultra Haze #1 is an extremely peaceful and chill strain, ideal for relaxation and reflection. Its mellow nature is not to be underestimated though – it has all of the power where it counts. Whilst Great White Shark has a modest, but respectable 14% THC, it is able to boast a CBD content of 1.7%. This not only makes it a great strain for chilling, but also appealing to those who want more from their cannabis. Arjan’s Haze has it all. A long lasting potent high, a fast turnaround, and a large yield. It’s no wonder it was the people’s choice! A mixture of Haze, Super Skunk, and White Widow, El Niño is as potent as its genetics sound. It grows it to a short busy little number that produces bud with a THC percentage of roughly 21%. It results in a very smooth, sociable experience. NL5 Haze Mist is a sativa dominant resin factory. Its buds are so big, potent and sticky that anyone interested in top quality hash need look no further. The mix of the original NL5 with a Haze x Skunk x Kali mist crossing, NL5 Haze Mist is an example of Old-school genetics at their best. White Widow is an Amsterdam favourite to this say. And that is saying a lot considering how old the strain is. It is an absolute classic, and must have for anyone who wants a bit of living history. It’s high yielding, potent, flavourful, easy to grow, and has an unforgettable high. A complete all-star! These are but a few of the many awards filling Greenhouse Seeds’ trophy cases. It is a testament to the seed bank, and hopefully gives you a few ideas for strains to try!